Shaker. 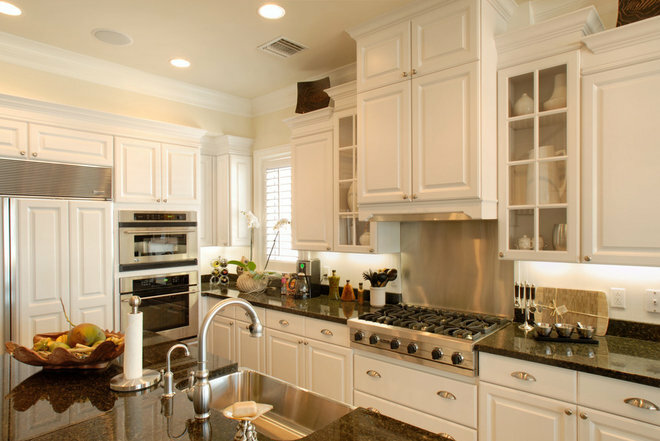 The Shaker-style cabinet door is the most common door style in kitchens today. This five-piece flat-panel style has a frame made from four pieces and a single flat center panel for the fifth piece. 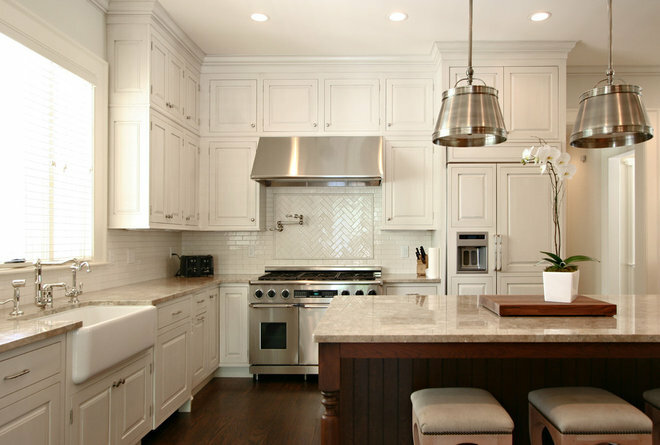 This classic style can work with a variety of budgets, depending on the wood used. Some manufacturers can even replace the center door panel with a more cost-effective material. Using a natural finish rather than a painted one could save you up to 20 percent on your purchase, too. Louvered. 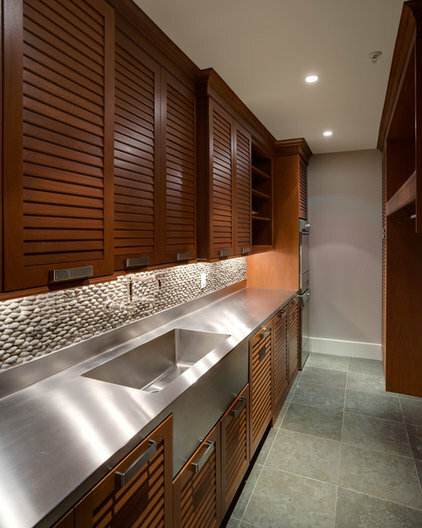 Horizontal wood slats are typically used on windows, furniture pieces and interior doors, but they add a distinct architectural style to kitchen cabinetry. However, be aware that these beauties come with a heavy price tag. Flat. Simple but stylish, the flat-panel cabinet door is void of any expensive details. Its hard lines and minimalist form make it a great fit for contemporary and modern interiors. Many flat doors come in decorative laminate or wood. Laminate tends to be more budget friendly and offers a greater variety of colors and sheens. Distressed. 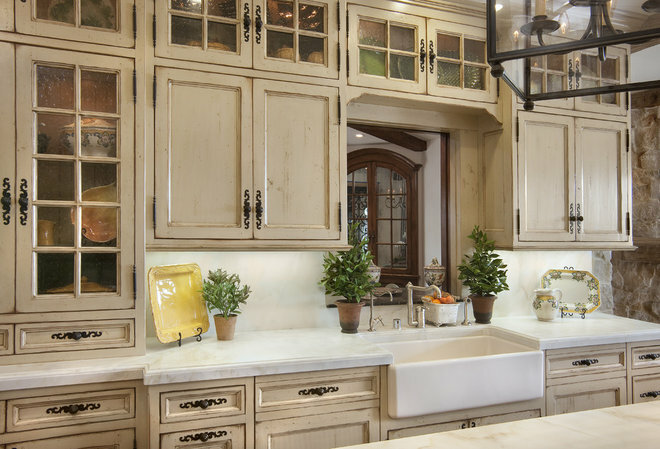 If you’ve always dreamed of having an antique-style kitchen, then you’ll love the distressed-looking cabinets available from most manufacturers. Choose any door style and opt to have the corners rubbed off or have other distressing techniques done for that age-old feeling. All this extra work will cost you, though; there’s usually a 15 to 20 percent upcharge for a tradesperson to actually destroy your brand-new doors. Beadboard. Love cottage style? 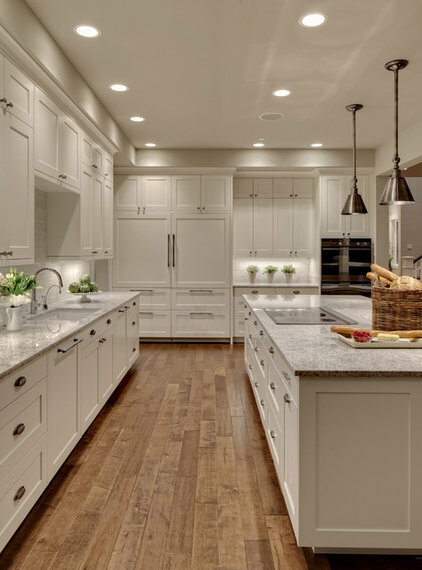 It doesn’t get more cottage chic than beadboard. The center panel of the cabinet doors in this style are made to look like traditional beadboard paneling. Beadboard was used in the past as a decorative wall treatment before plaster, drywall and paint became common. Thermofoil. These doors are molded out of MDF (medium-density fiberboard), wrapped in a plastic-type coating and then baked under intense heat to create an impervious seal. Durable and cost effective, they come only in solid colors and imitation wood grain. 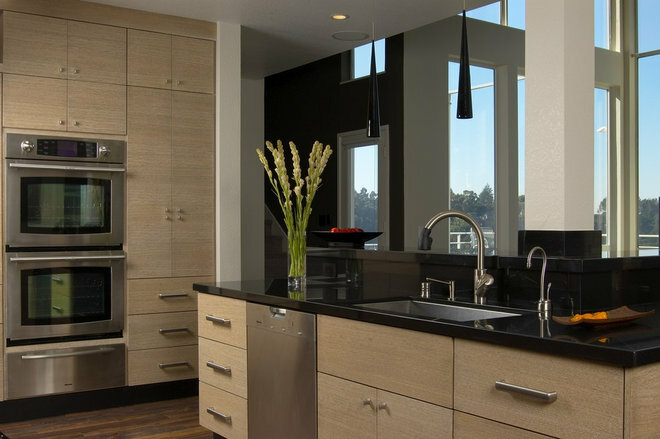 Often mass-produced, thermofoil cabinetry comes at very competitive price points. It’s durable, but it’s also extremely difficult to repair any damage to it. Some lighter colors can also yellow from sunlight and heat over time. Custom. Can’t find any door style on the market that really complements your unique design intention? Design your own! Contact a local designer or craftsperson to help you create a personalized design. 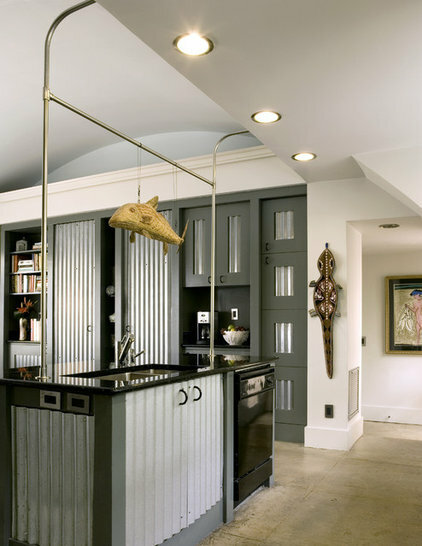 This Shaker-style cabinet door has a center panel of corrugated metal instead of wood for an industrial and utilitarian look that can stand up to years of abuse.